Among the 1000 other great things to see and do in MA, Massachusetts is home to the largest free folk festival in the country. I bet you did not know that! 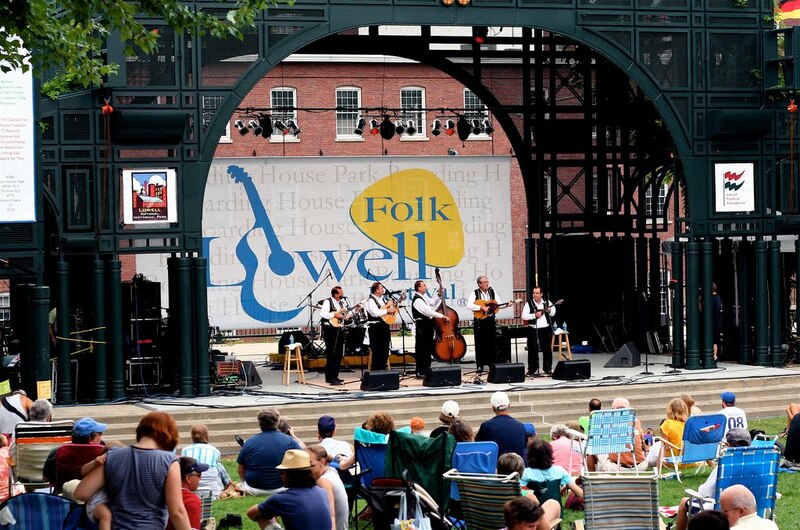 The Lowell Folk Festival is now in its 24th year of providing 2 days and 3 nights of free music. You can see anything from Cajun to Blues to Polka to Western Swing and so much more. The musical diversity present at this festival is just amazing. I can't even begin to tell you about the food! Cambodian, Filipino, Armenian, Greek, Thai, Polish....the list goes on and on. 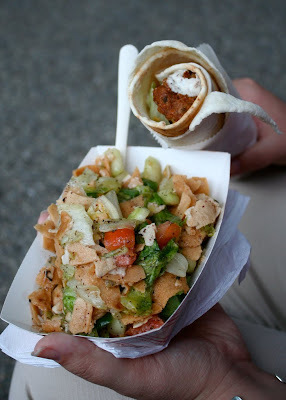 My favorites are the fried banana from the Filipino tent, and the Armenian burger. Now in its 4th year, there is also Art in the Courtyard, which has become an integral part of the festival. 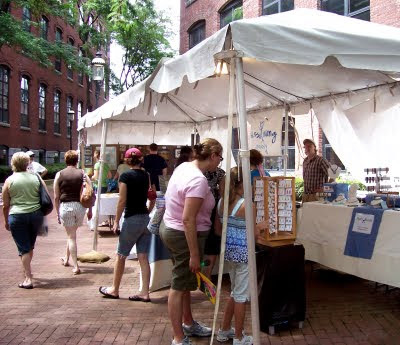 A shade-lined courtyard located between two of the festival stages is where you will find the works of 20 artists - anything from glass to jewelry to pottery to paintings and more. This will be my 2nd year participating in the festival, and I am very excited! I am currently finishing up a new line specifically for the Folk Festival - all the pieces in this line have granite incorporated somewhere. Granite plays a large part in the history of Lowell, because some of the canals are lined in granite that was taken from Westford and other neighboring towns. I'll be posting a sneak peek on my Facebook fan page, so stop by and check it out! Good luck Liz! Looks like it will be a great event!